For the three years Julian Torres, 14, attended Shoreline Middle School, the Live Oak program of the Boys & Girls Clubs of Santa Cruz County was his second home. And as he prepares this fall to enter Soquel High School as a freshman, he expects the new Live Oak Clubhouse to play the same important role in his life. Julian attends the Live Oak Clubhouse every day after school and in the summer. “Basically, if I’m not at my house, I’m here,” he said. 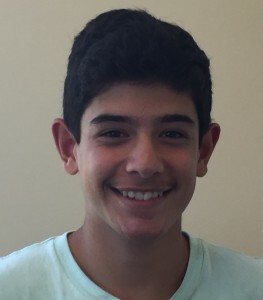 He enjoys playing basketball, playing video games and hopes eventually to become a volunteer staff member at the Clubhouse to help other kids with homework.